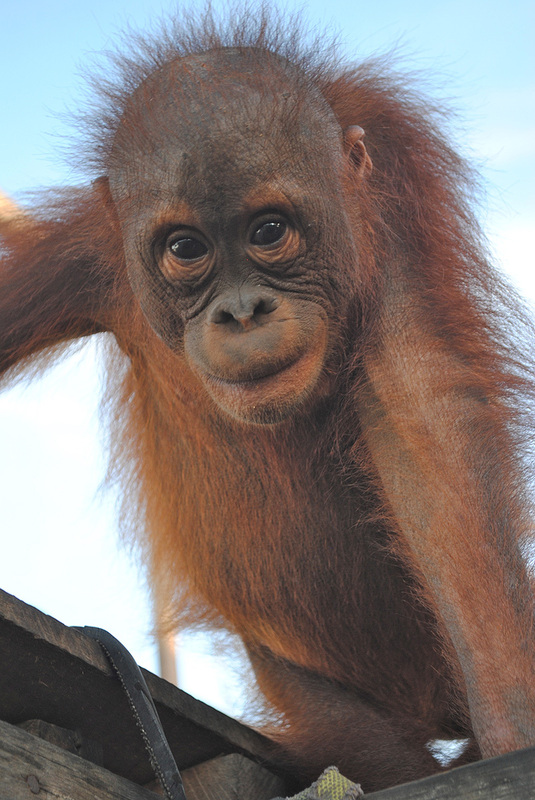 Oscarina is being cared for at IAR Ketapang. When the vet team was called to come and get a baby called Oscar, the first thing they noticed when they arrived was that ‘he’ was actually a ‘she’! So Oscar became Oscarina! The poor little girl had a high fever, her skin was dried up and shriveled, and her hair was falling out… The professional vets and highly trained staff quickly got her on antibiotics and a proper diet. She is now getting stronger every day and her lustrous red hair is growing in beautifully! YES! 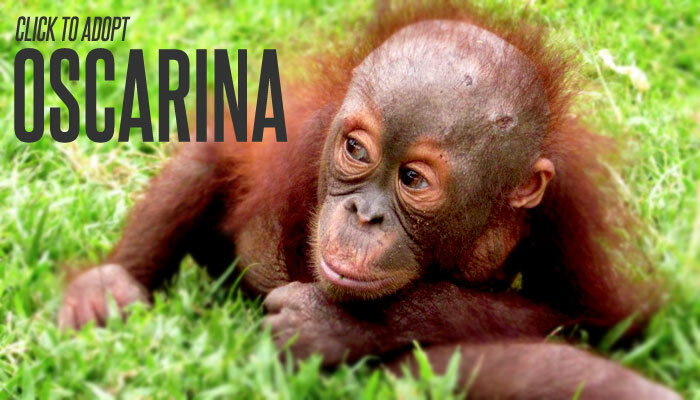 I want to adopt Oscarina! 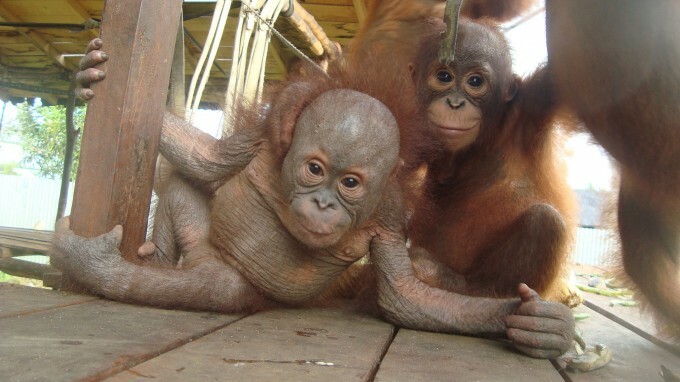 Oscarina (pictured with her best friend Monti) had no hair when she first arrived.